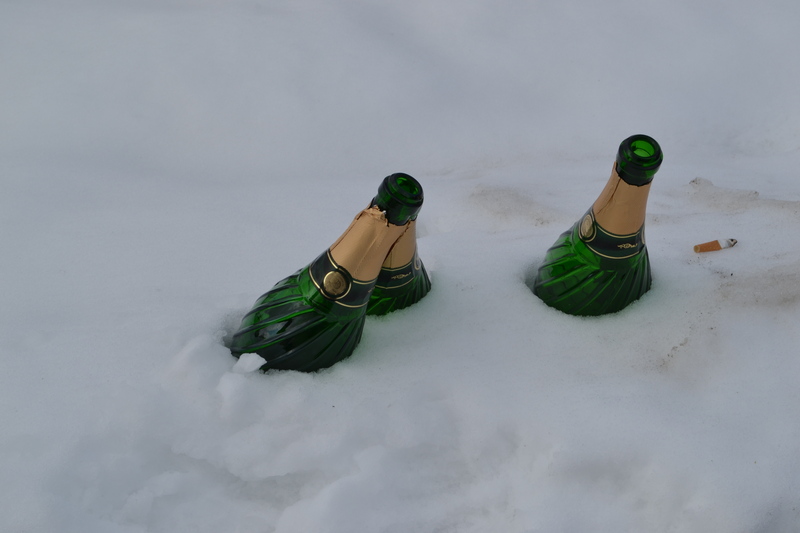 The Association of British Travel Agents has come up with the helpful statistic that 1.7 million Britons will be jetting off this long Easter weekend for warmer or else properly-snowy-with-epic-ski-conditions climates. Alas, that 1.7 million does not include me. London temperatures hover a few degrees above zero, my parka continues to dominate my wardrobe, and my attempt to have an outdoorsy Camden adventure ended pretty much as soon as I stepped off the 29 bus. 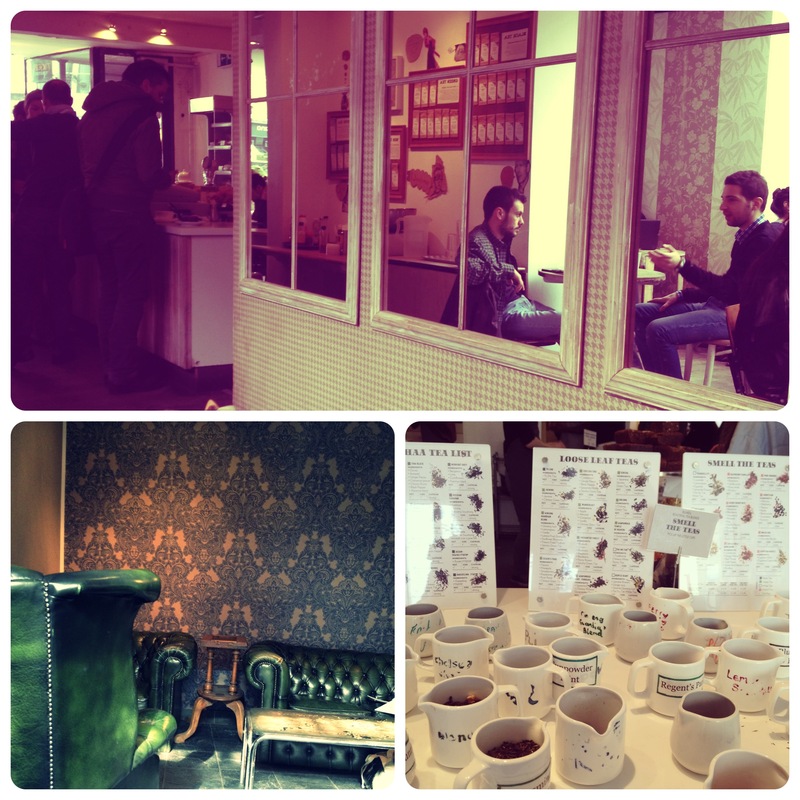 I first discovered Yumchaa tea at a stall in Spitalfields Market, when I brought some Raspberry Vanilla tea home to try. They have a few physical stores: one near Goodge Street, one in Soho and two in Camden. The one on Camden Parkway is easiest for me to get to (though a word of caution, at first glance the exterior still looks like the pub the building used to be). All locations very similar, and are the perfect place to stay awhile with friends or the beginnings of your next great literary essay. Inside, you’ll find hipster teens, liberal arts students and families of four, all sprawled out on a melange of thrown-together-on-purpose furniture. Patterned wallpaper, mirrors and old tea packages compliment a mix of tables and chairs: wood, aluminium, thick leather, take your pick (actually, not really, take the first open seat you see!) 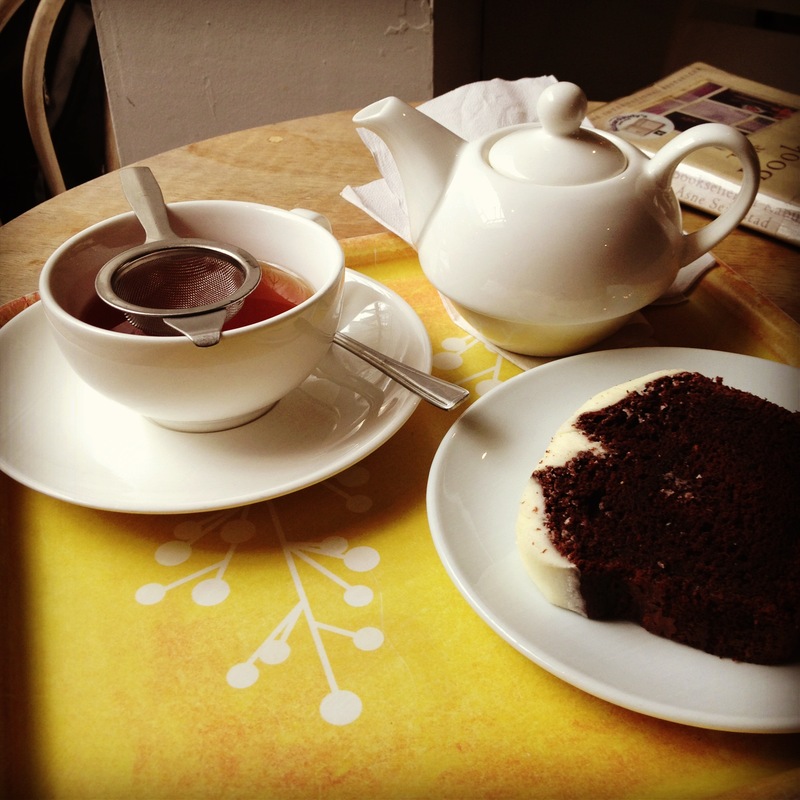 My eyes widen just a little whenever I enter a Yumchaa, and I’m always convinced I’m going to have to sit on the floor with my tray balancing on my knees, but somehow a spot always manages to free up by the time I’m done ordering. 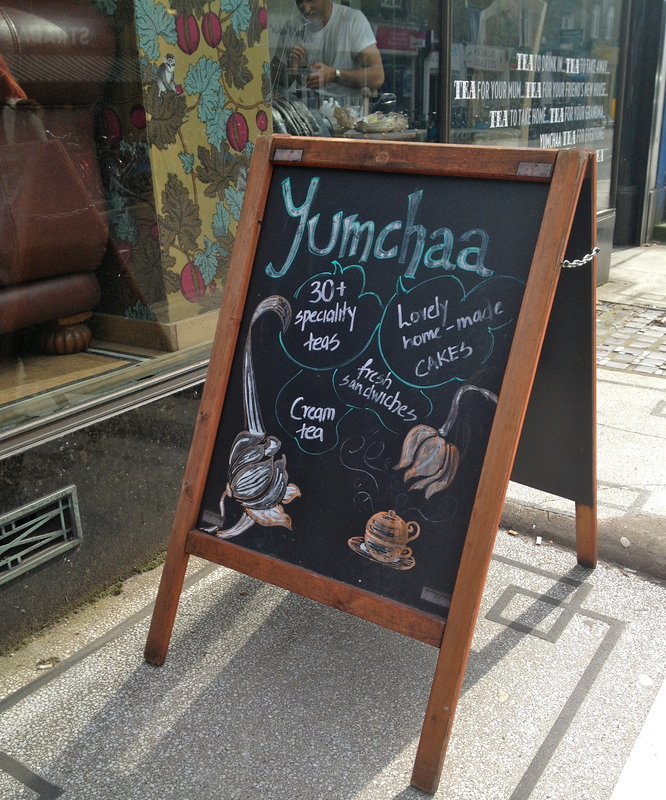 Yumchaa has a whole range of white, green, red and black teas to choose from, with helpful samples laid out at the counter to help you make up your mind (though I do often find myself just standing there determined to smell them all, to the annoyance of the person behind me). I ordered Blueberry Hill tea with a slice of chocolate velvet cake, thinking the fruitiness would balance out the chocolate. When I went to pay, though, I was informed that they were out, and I immediately defaulted to my very favorite – Caramel Sweetheart. SUGAR. RUSH. Ah well, what are Easter weekends for? 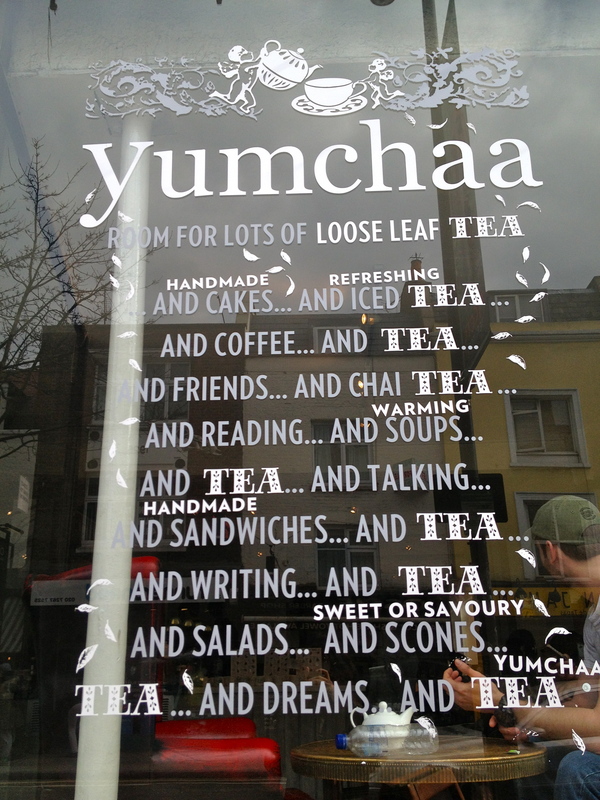 This entry was posted in Uncategorized and tagged Camden Market, Easter weekend, London, loose leaf tea, tea shop, Yumchaa on March 29, 2013 by CatherineTs. 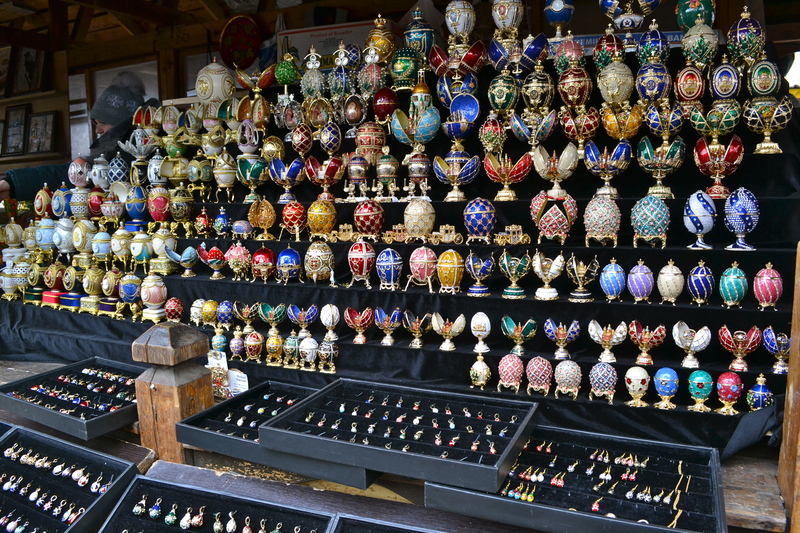 Before going to Russia last weekend, I had been doing some WordPress research and had come across two posts by Polly and Katya, both with excellent things to say about an outdoor market in East Moscow. 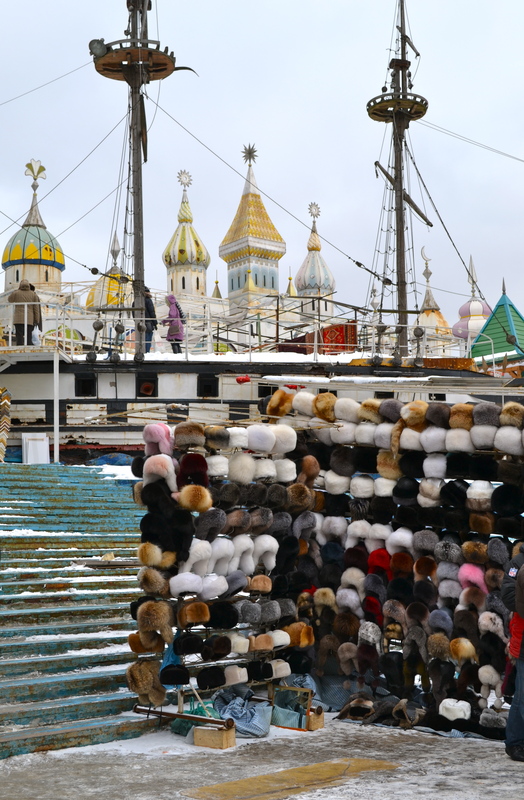 On my last day, we decided to make our way over to the Izmailovo district, where the market of the same name is open pretty much all week, with the best vendors setting up shop on Saturdays and Sundays. 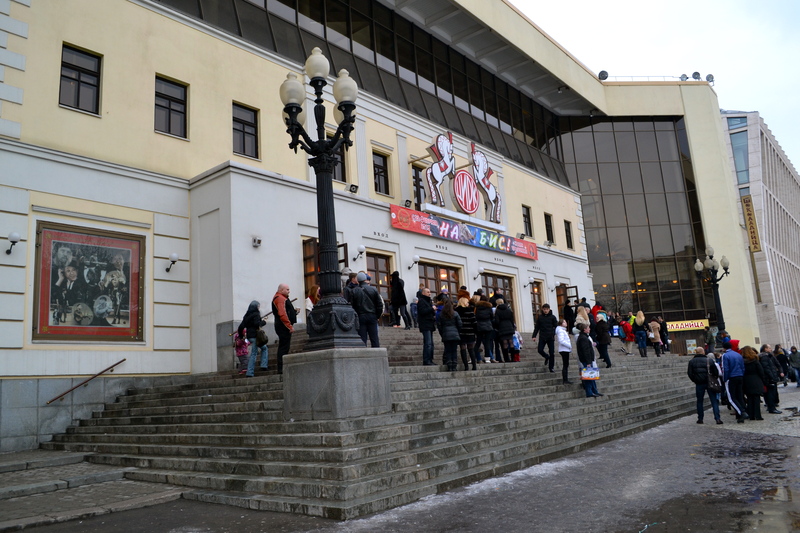 Apparently the area is where the Romanov family used to hail from – more recently (well, 3 decades ago), the Izmailovo Hotel was built for visitors and dignitaries attending the 1980 Olympic Summer Games. Markets are a big thing in London, but I’ve yet to see anything quite like the open air complex that is Izmailovo market. 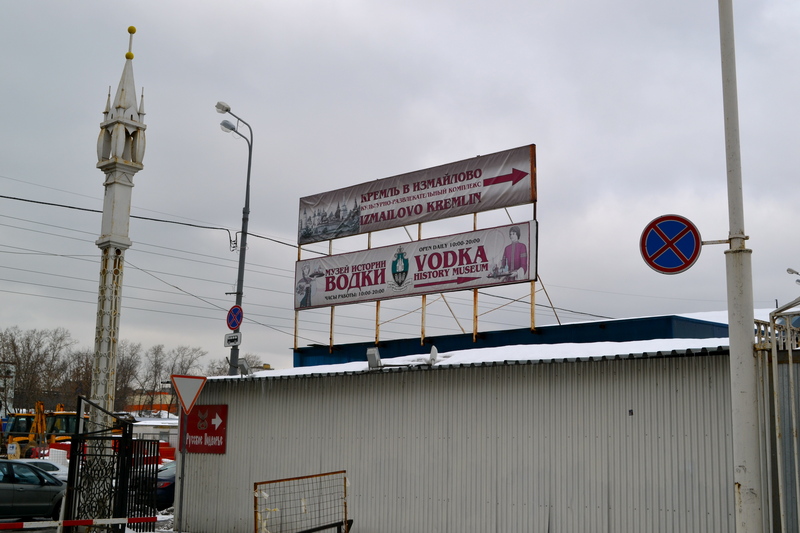 Following the signs (not to the Vodka History Museum – maybe one for next time), we first encountered what our driver told us was a ‘joke’ Kremlin. It opened a few years ago and is used as a wedding complex (one can just imagine the traffic this brings the vodka museum, har har). A March 1953 issue of Pravda..Cold War historian’s paradise! 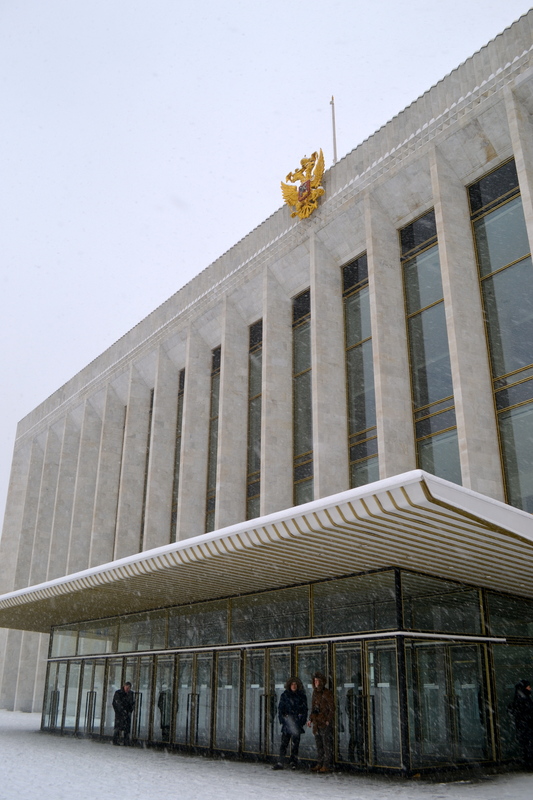 Back outside, we passed by the Bolshoi Theatre, home of the Russian ballet and opera, and recently renovated for a whopping 1 billion dollars. I wanted desperately to go, but we weren’t quick enough on the ticket uptake (will book VERY much in advance when I visit next!) Next door is the GUM’s equally snazzy cousin, the TSUM (pronounced tsoom). 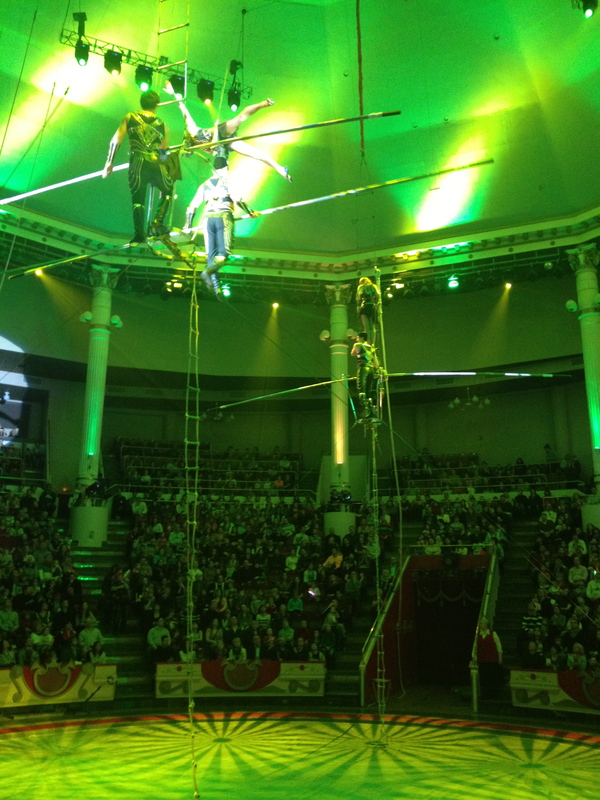 Finally, we made our way to the Moscow State Circus. Last year, we went to see Cirque du Soleil at the Royal Albert Hall in London, and everyone was dressed to the nines, sipping cocktails in the theatre lounges during intermission. This was not like that. It was a PROPER circus, with kids running around, cotton candy everywhere, hilarious clowns, and dancing elephants (I had expected dancing bears, but they were on holiday). It was lots of fun and made for an excellent afternoon out, though stern ushers waiting in the wings meant any picture-taken had to be done on the sly. 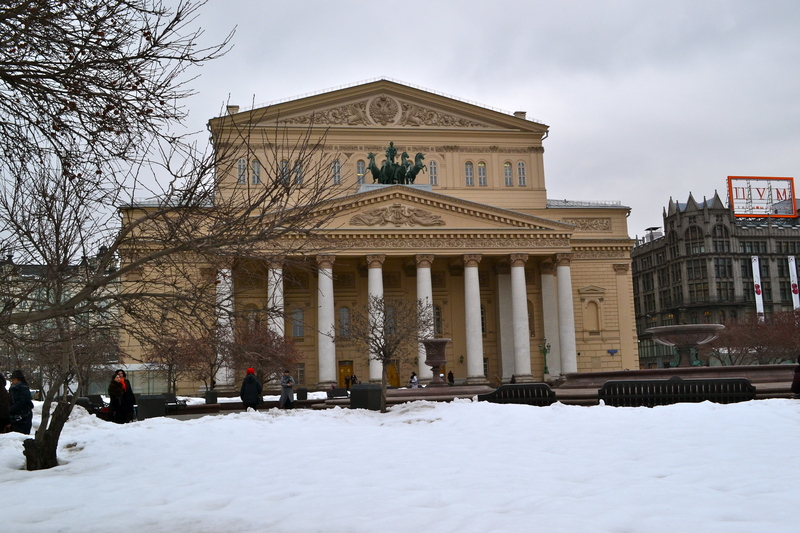 This entry was posted in Uncategorized and tagged ballet, Bolshoi Theatre, circus, GUM, Izmailovo market, Kremlin, Moscow, Russia, travel, TSUM on March 24, 2013 by CatherineTs. Japanese may not be the first cuisine to spring to mind when considering dining options in Moscow, but who in their right mind would say no to what I’d unequivocally call the most scrumptious sushi in the land?? NO ONE (except for maybe my friend Sarah, who is literally scared of seafood). 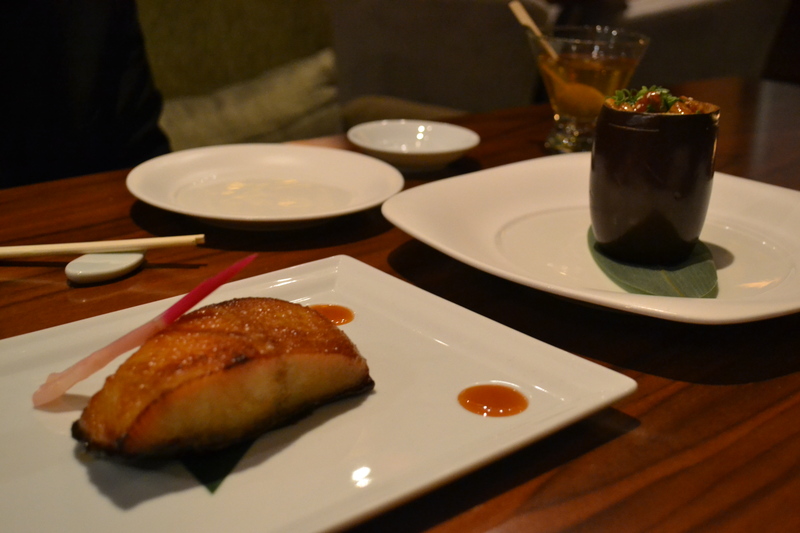 Having always wanted to try Nobu in London, but never able to find a reservation before 10pm, I agreed (kicking and screaming, really, it was a very difficult decision) to dinner at Nobu in Moscow. Mike suggested sensibly that we’ve been saving money on the dinners we haven’t been having together in London since he’s been away in Russia, and could thus afford the splurge. Infallible logic to me. 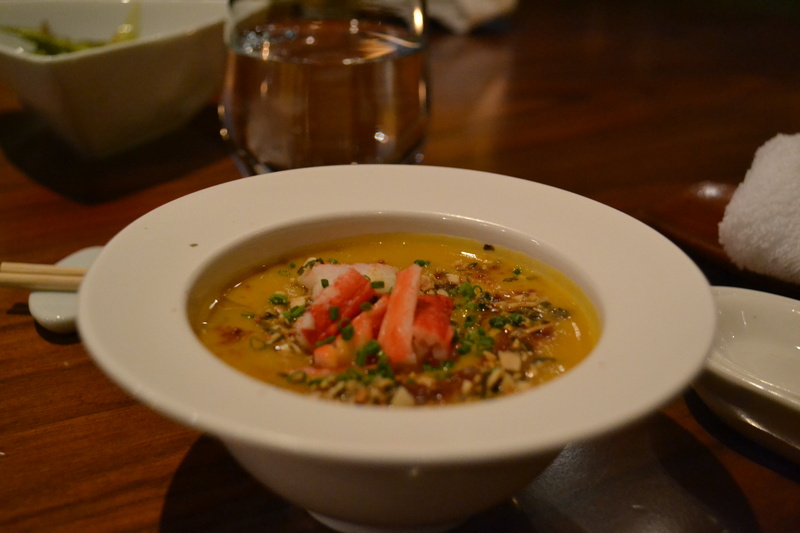 The first thing that struck me about Nobu Moscow was how warm it was – literally and figuratively. We soon forgot the wintery world outside, settling in to the plush, velvety benches by our table and admiring the inviting, peaceful walnut decor (their website tells me the chandeliers were inspired by sea urchins – I was thinking more bird’s nest, but hey!) 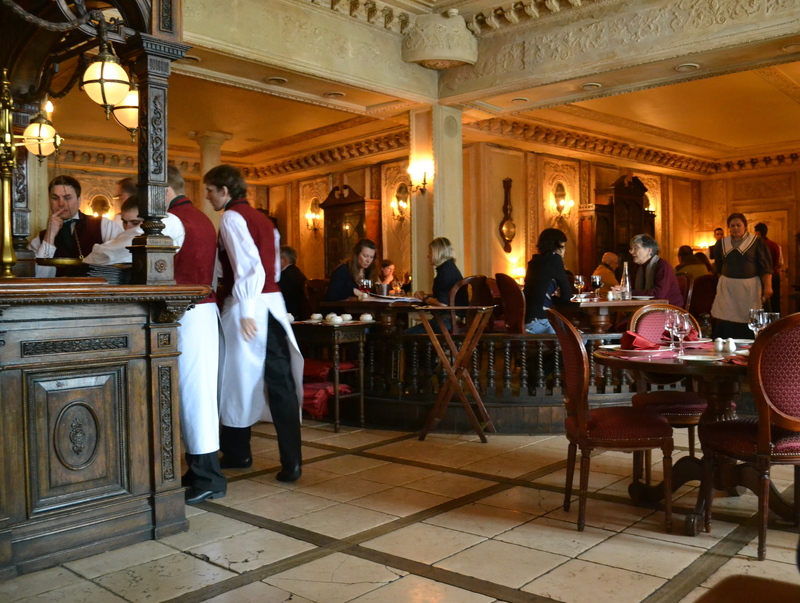 The staff were great – though they spoke little English, they welcomed every guest who passed through the front entrance with a short chant in Russian, which our waitress told us meant ‘Welcome to our home’. 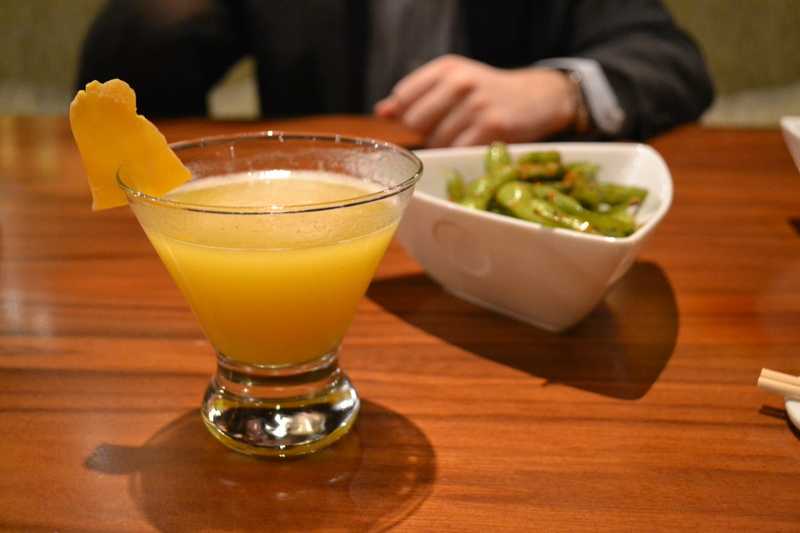 Mango martini + spicy edamame…a surprisingly tasty combination! 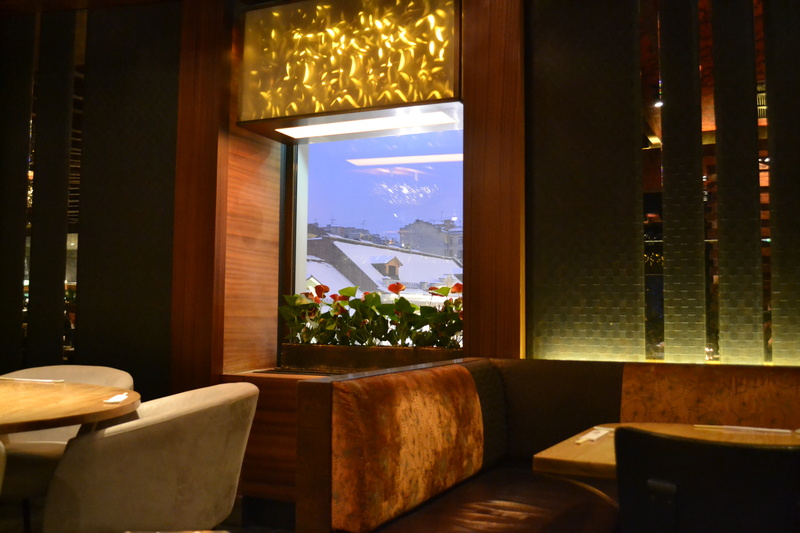 It hardly needs saying, but the raaaave reviews I’ve heard from everyone back in London stood up swimmingly in Moscow – not to mention we didn’t need to book weeks in advance, and got a table for the reasonable hour of 8pm. My ONE word of caution though, for anyone who finds themselves about to visit: run, don’t walk, to the nearest market/convenient store/fountain and procure a bottle of water to stash in your purse and smuggle into the restaurant. One decent sized bottle cost us 650 rubles, or FOURTEEN BRITISH POUNDS. Maybe when this actually sinks in, I’ll revise my recommendation, but probably not. 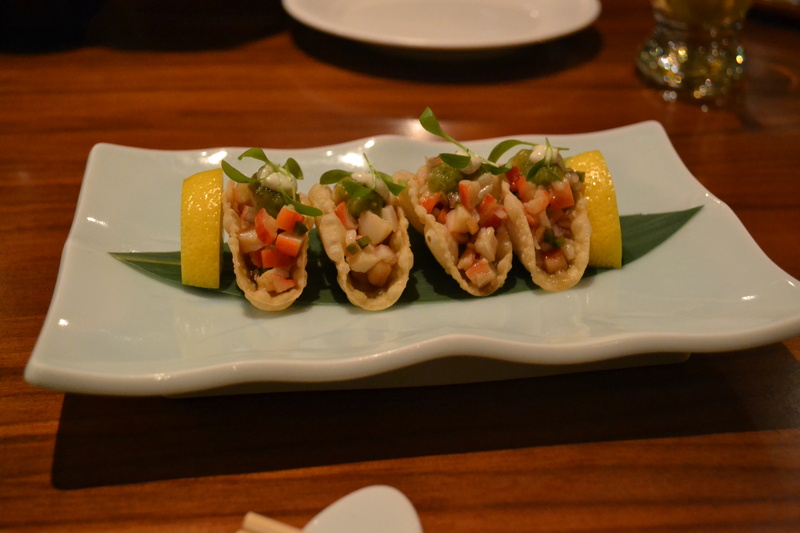 Nobu, in any city…go go go! 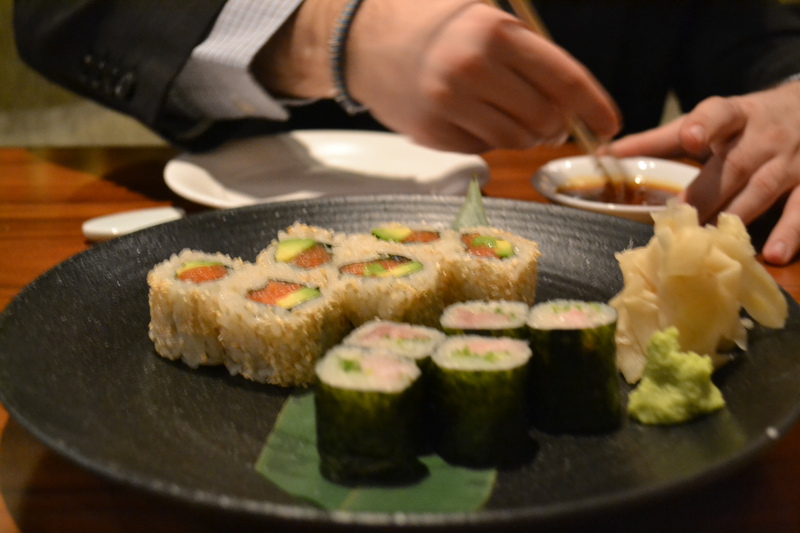 This entry was posted in Uncategorized and tagged Japanese, Moscow, Nobu, restaurant, Russia, sushi, travel on March 23, 2013 by CatherineTs. 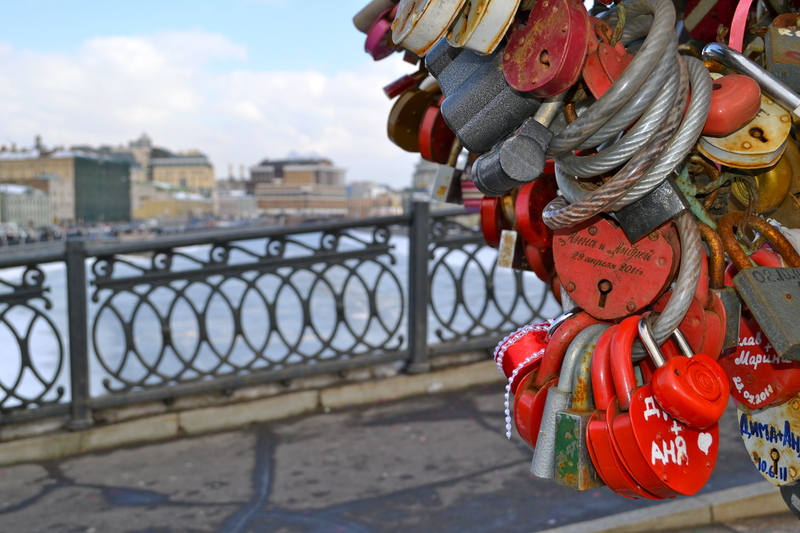 Moscow – Love Locks Redux! Last month, in The Love Locks Have Landed, I expressed my delight at having colorful, metallic love padlocks spring up here in London’s Covent Garden, if only temporarily. 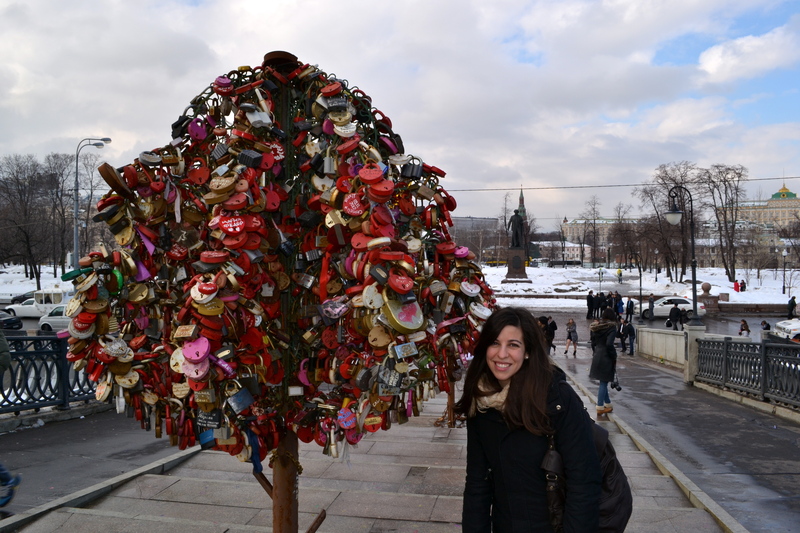 I knew there was an entire love lock ‘forest’ residing on a bridge in Moscow, so obviously that was high on my list of to-see sights last weekend! 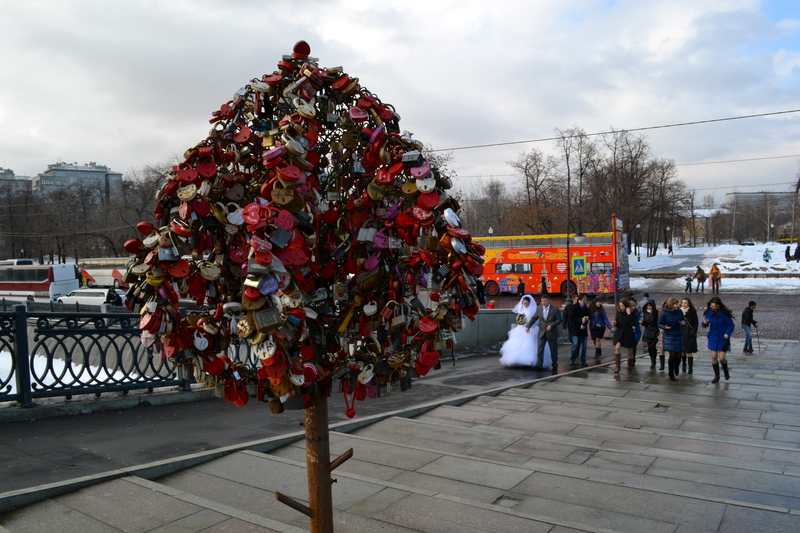 In stark contrast to Paris and Rome, where the authorities actively expressed a desire to remove the padlocks, the government in Moscow actually ‘planted’ the trees, embracing the tradition of brides and grooms visiting the bridge (if you can’t beat ’em, join ’em, I guess!) 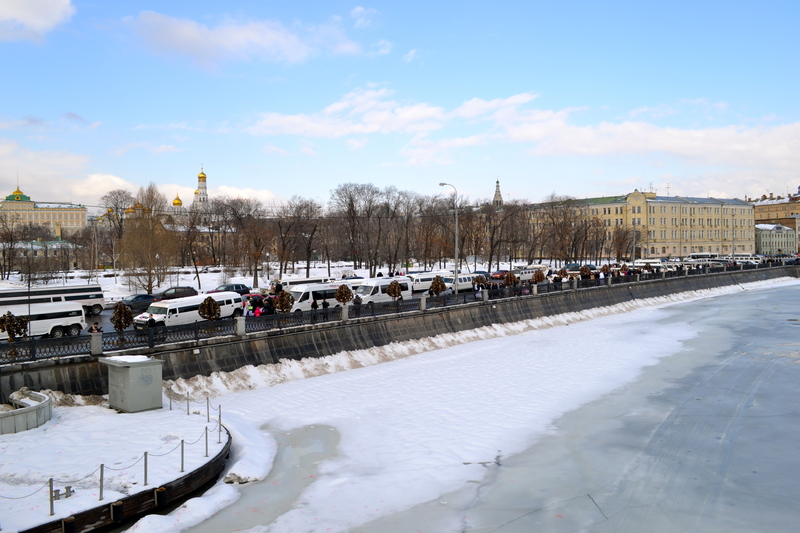 I had read about these couples, but still wasn’t sufficiently prepared for what greeted us on our arrival at Luzhkov Bridge: a flock, nay, a CONVOY of stretch hummer limos, decked out with ribbons, carrying wedding parties and their photographers who all had one aim: getting to those love locks. Wrapped in glamorous fur and the whitest heels, the brides had a universal disregard for the slush beneath their feet (I could only stand there gaping. Renewed respect for Russian women in love). One by one, the couples – sometimes perilously – affixed their padlocks, while friends openly swigged from champagne bottles and energetic photographers captured the moment (I also captured the moment. My boyfriend called me a creeper, but I told him it was for blogging purposes). Happy to have found the right bridge! Sign of a good time…? PS. A note on how to get there: don’t make the mistake I did, of having it in your mind that the trees were on Luzhkov Bridge, and thinking that would be enough information to go by. Because a) google maps doesn’t recognize ‘luzhkov bridge moscow’ and b) Luzhkov Bridge isn’t like Big Ben, where you can literally grab any random person in the street and get fairly decent directions no matter where you are in the city. 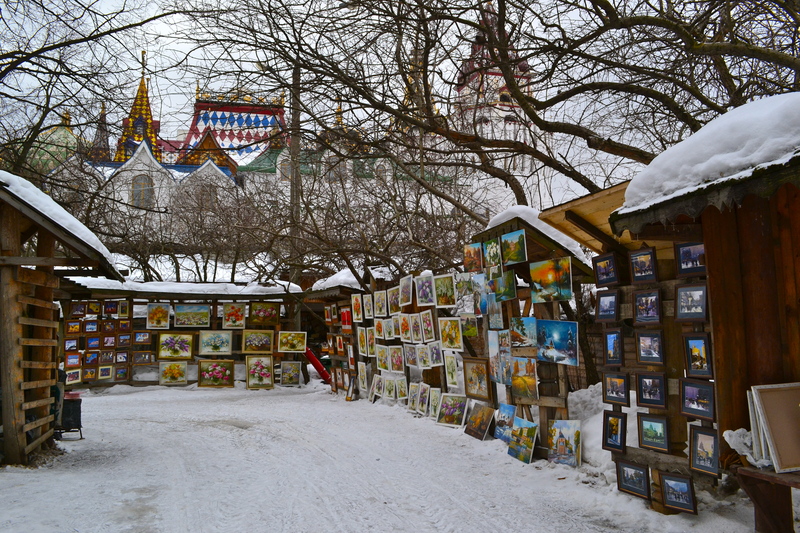 The thing to google is the Tretyakov Gallery – a bit north of it on the map is a little bridge crossing the Vodootvodnyy Canal, and that’s what you’re looking for. It’s about a ten minute walk from the Kremlin, despite looking way further on the map. 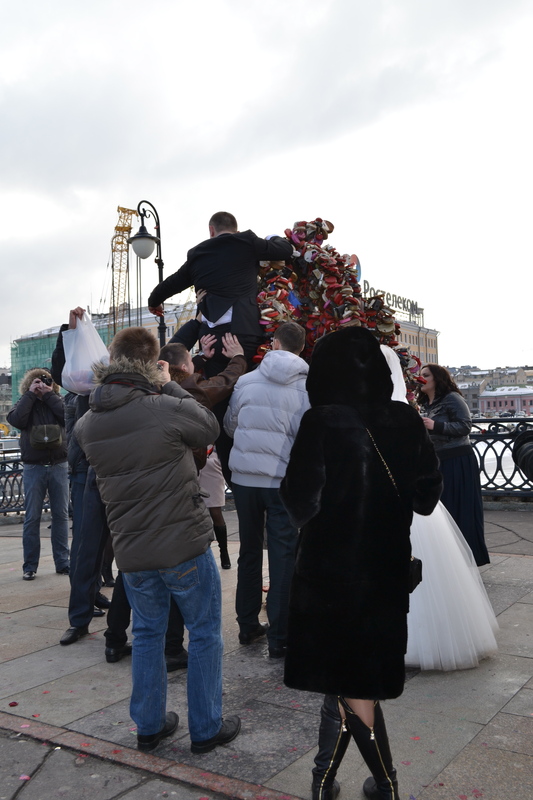 This entry was posted in Uncategorized and tagged love locks, Luzhkov Bridge, Moscow, Russia, travel, weddings on March 21, 2013 by CatherineTs. The above lyrics are from a 1960s song by the French Gilbert Becaud. The premise is that Mr Becaud is in Moscow with a tourguide (Nathalie), who is speaking of serious things like the Bolshevik Revolution and Lenin’s tomb. 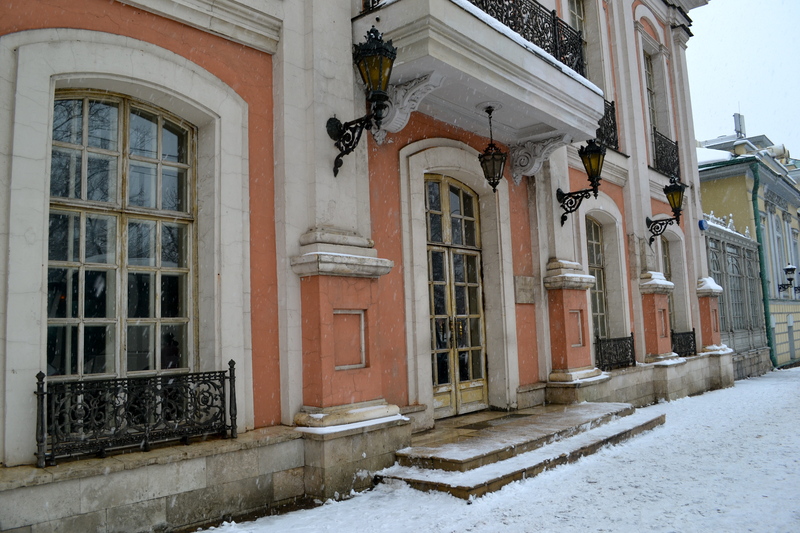 Typical love-struck male, all he can think of is taking her for hot chocolate at a fabled Cafe Pushkin. 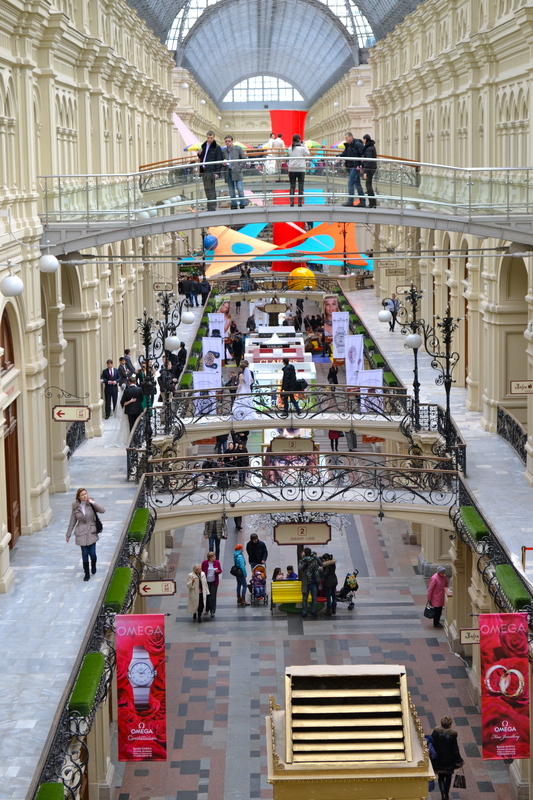 Hearing the song, Muscovites scratched their heads, wanting to know where they could find said imaginary cafe. This, according to its website, was the encouragement needed to open the real Cafe Pushkin, where we took refuge last Friday after a long Kremlin-wander in the snow. I one hundred and ten percent recommend a visit – you will feel like you’ve stepped into the pages of Anna Karenina. 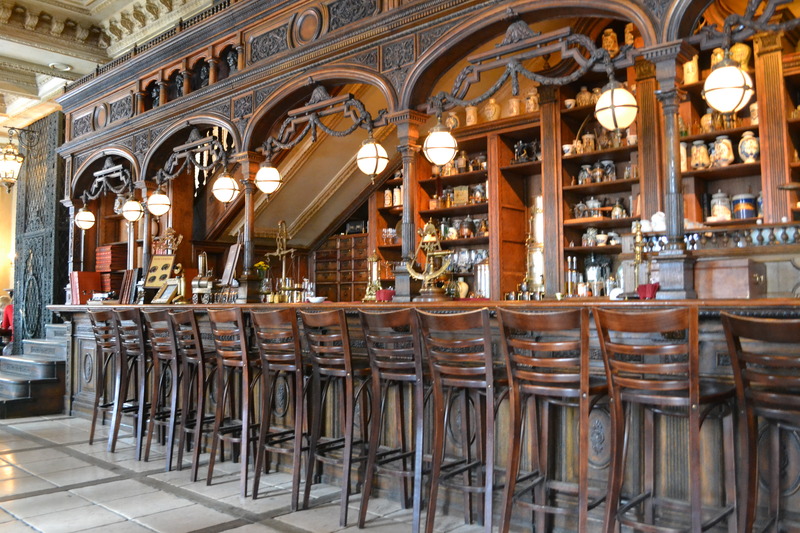 The interior is gorgeous, with plush red seating and a beautiful wooden bar filled with old rustic artifacts. 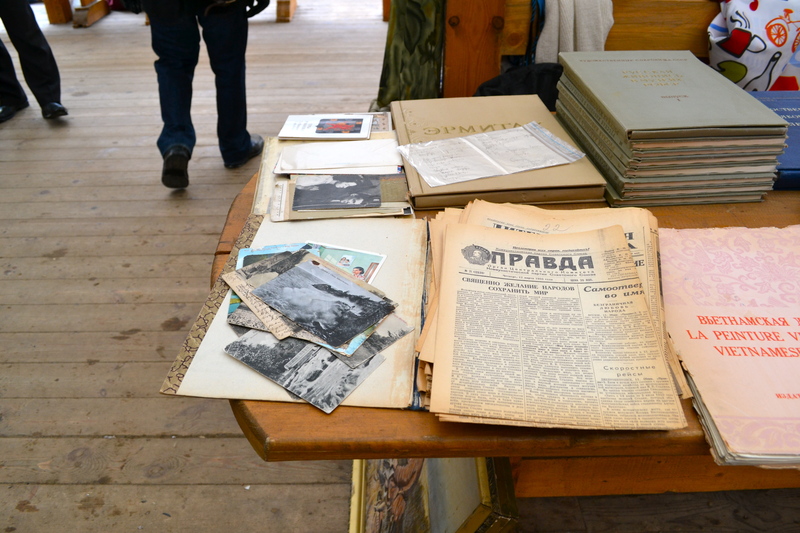 The staff apparently speak pre-Soviet Russian – if only I could appreciate the difference! We decided it would be more cost-effective to go for lunch, and we were seated immediately sans-reservation. 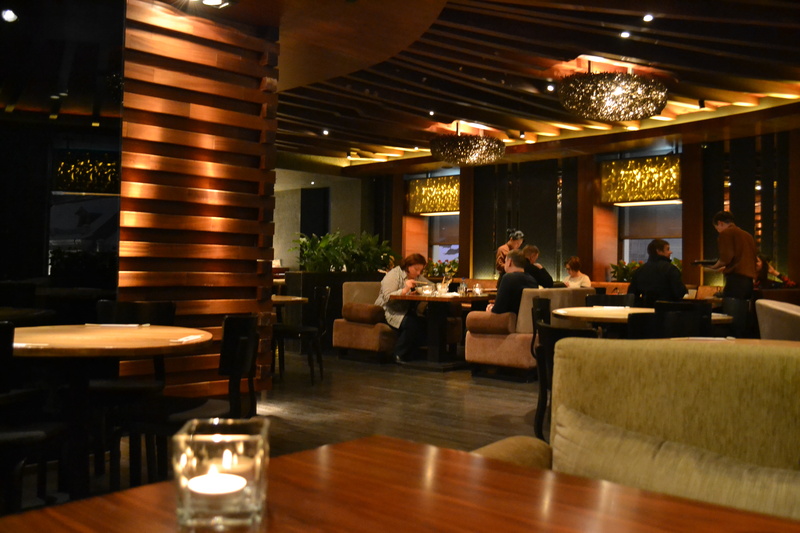 Common in Moscow is the ‘business lunch’, which is what we asked for, and consisted of 3 courses for 750 rubles (£15). No complaints on the service, though our whole lunch ended up taking a couple of hours – lovely for our purposes because we weren’t actually on a time pressured ‘business lunch’ anyway. 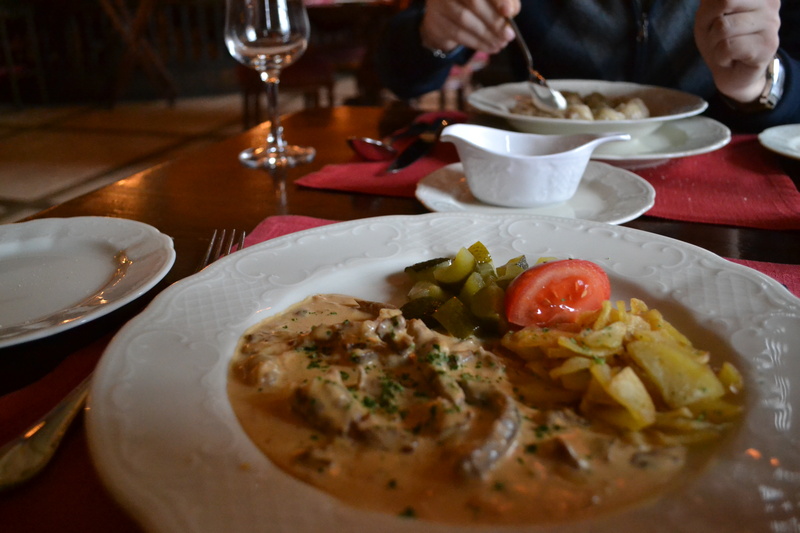 Mmm stroganoff and potatoes. Not at all like the one they used to make in my university dining hall. 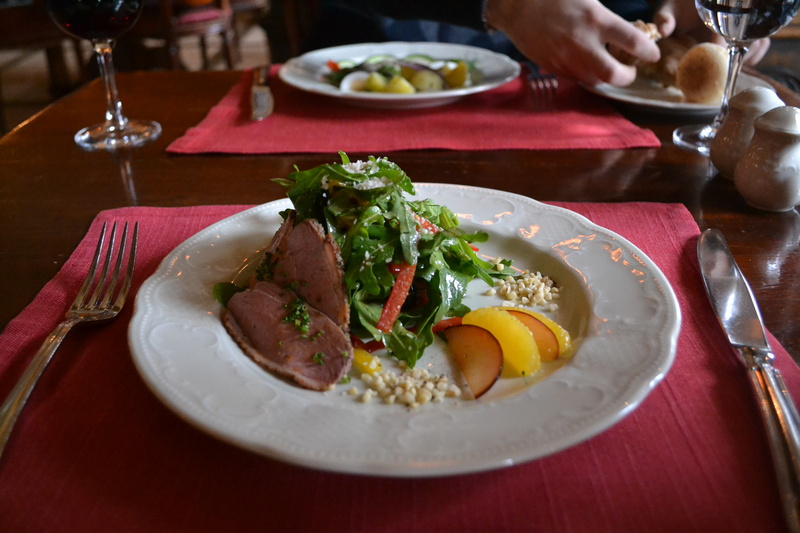 I was so looking forward to an authentic Russian meal, and I was over the moon with my selections – they were hearty, and tasty, and delicious, and OH NO I AM SALIVATING AT THE MEMORY!! Definitely the kind of food to heat up the insides after a day of frenzied sight-seeing. So many things on the menu I wish I could’ve tried – next time, for sure! 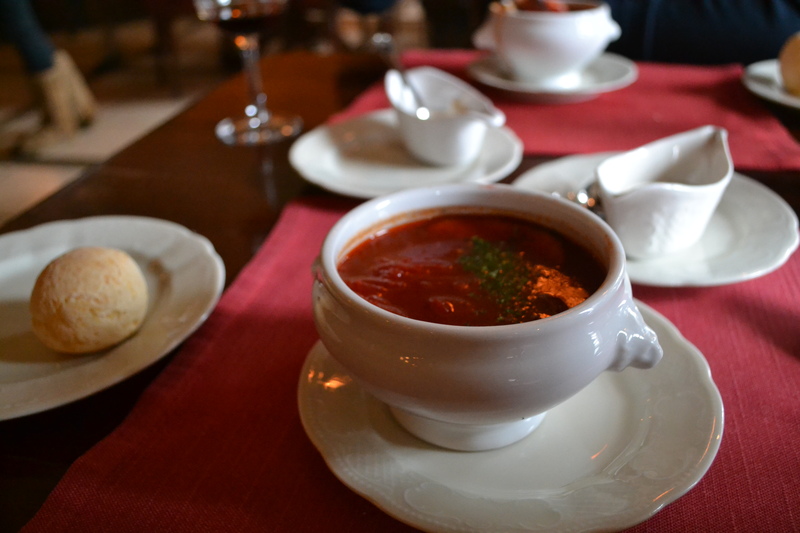 This entry was posted in Uncategorized and tagged borscht, Cafe Pushkin, lunch, Moscow, restaurant, Russia, travel on March 20, 2013 by CatherineTs. 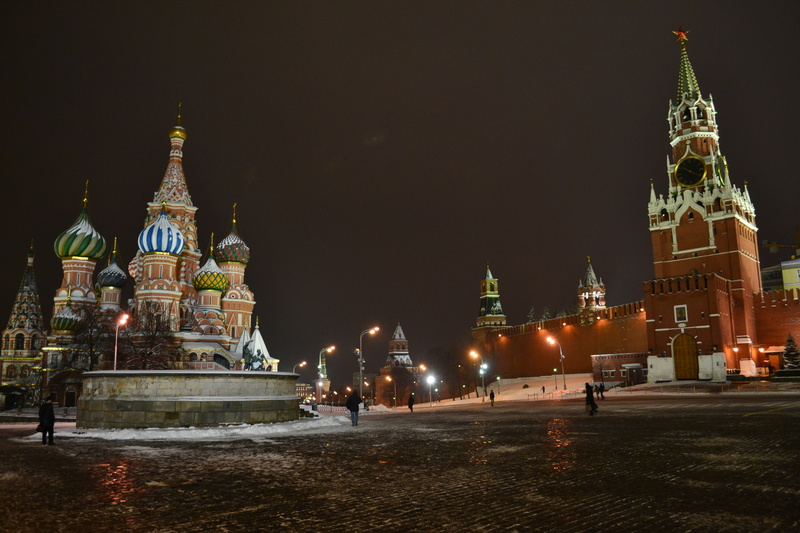 First stop on our four-day whirlwind tour was the Moscow Kremlin, fortress on a hill, home of the Russian government. 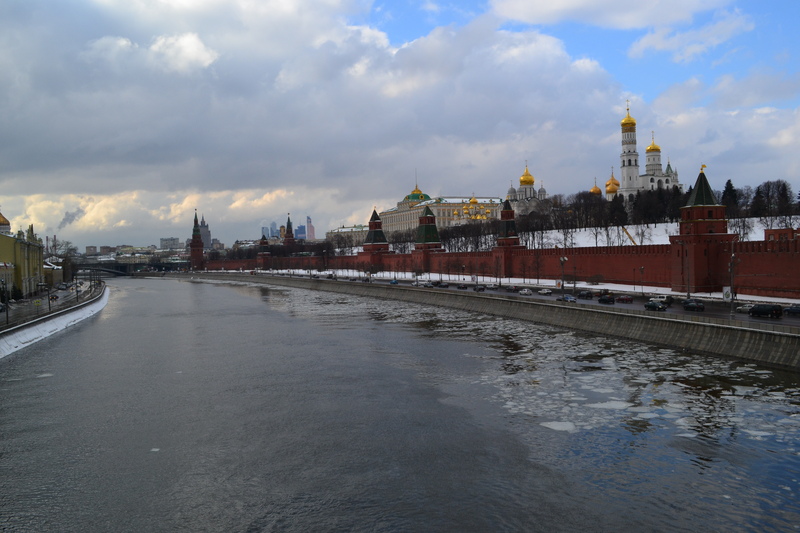 Overlooking the left bank of the Moscow River, this triangle-shaped complex means business, perched high on the walls of the Kremlin embankment. 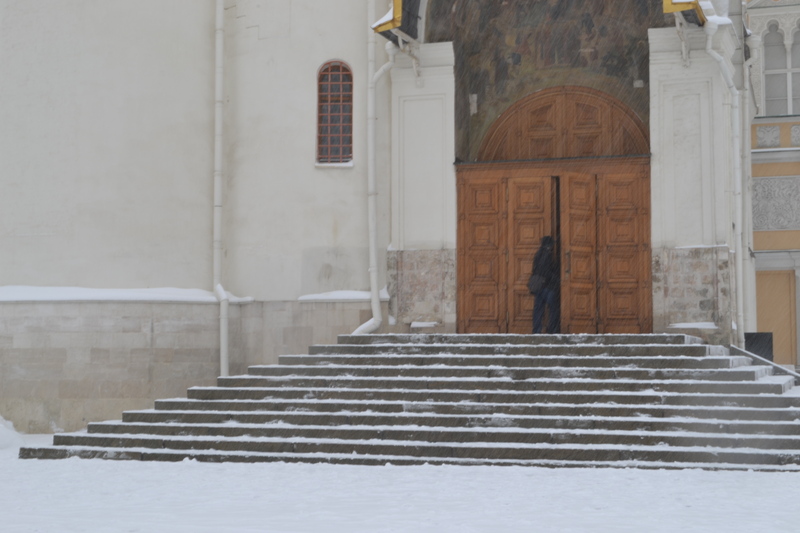 Inside, you’ll find cathedrals, palaces, bell towers and Vladimir Putin. So really, fun for everyone, then. 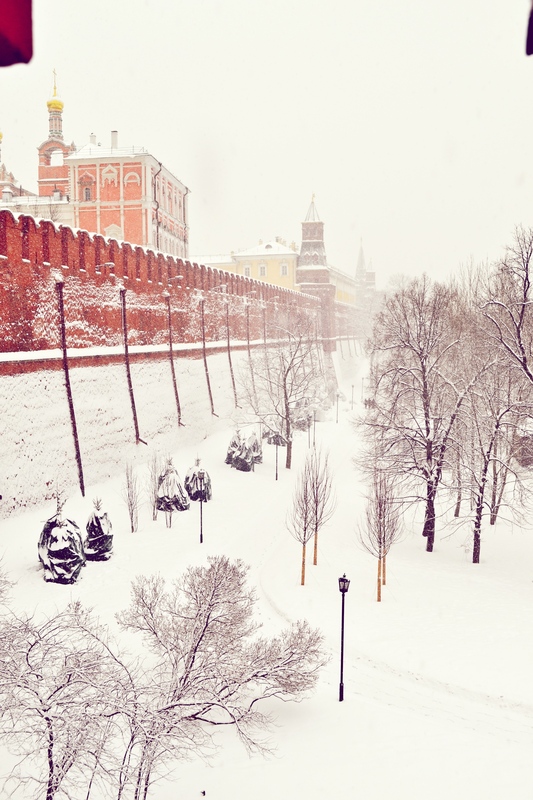 Our first full day saw some seriously snowy weather conditions, and I’m not sure I would’ve had it any other way – a blankety white Moscow is just how nature intended. 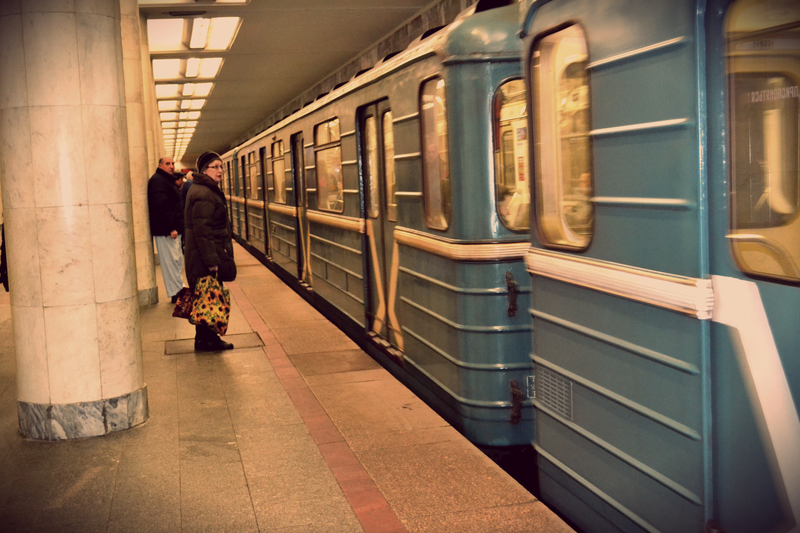 Crossing the street from Borovitskaya metro station, we followed the signs to the ticket centre. 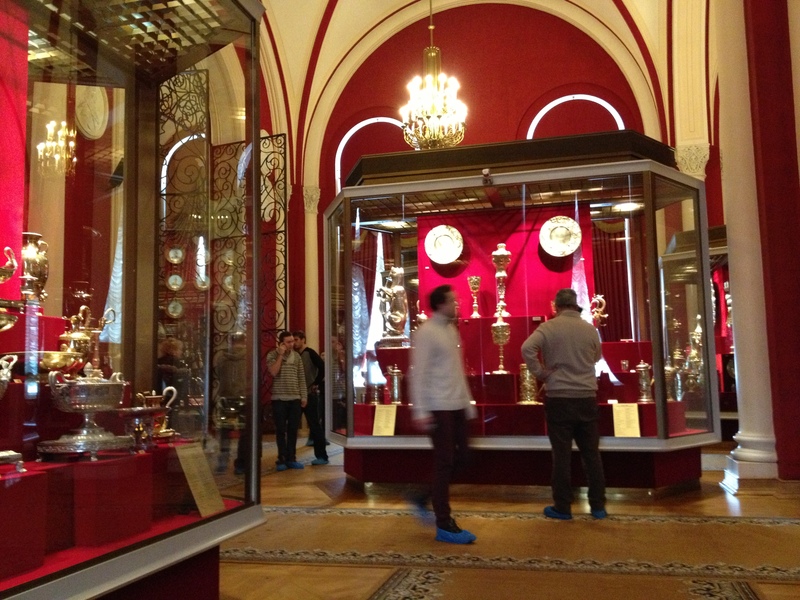 For 700 rubles (£15), you can get a ticket to the Armoury Chamber, which holds historical Russian treasures and has timed entry throughout the day. A ticket to the Kremlin grounds themselves was 350 rubles (£7.50), and you can enter whenever since it really just involved wandering around outside at your own pace. Afterwards, we headed towards the appropriately-named Cathedral Square. 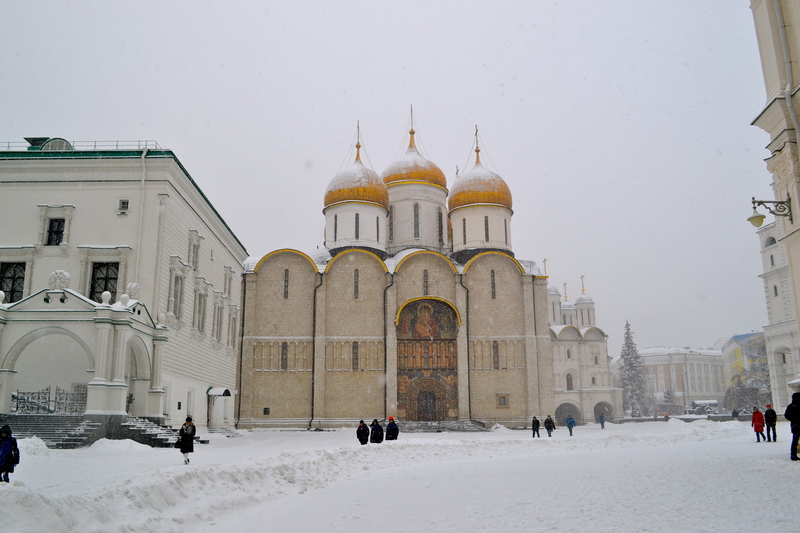 The whole experience was a bit surreal – through the falling snow, we could make out a beautiful backdrop of gold-domed churches with vast colorful buildings in the background. While there were people around, any sound was muted, so I felt very much in my own world. For relief and warmth, you could wander into any of the cathedrals, many of which were over 500 years old. This entry was posted in Uncategorized and tagged Armoury, cathedrals, Kremlin, Moscow, Nikita Khrushchev, palaces, Russia, travel, Vladimir Putin on March 19, 2013 by CatherineTs. Perhaps paradoxically, something I love most about London is that its location makes it a perfect launching pad for adventures abroad. Back home in Canada, the country options for a wallet-conscious traveller in need of a weekend away can be counted on one finger (hellooo Amuurrica!) But here in London, the options are pretty close to endless. 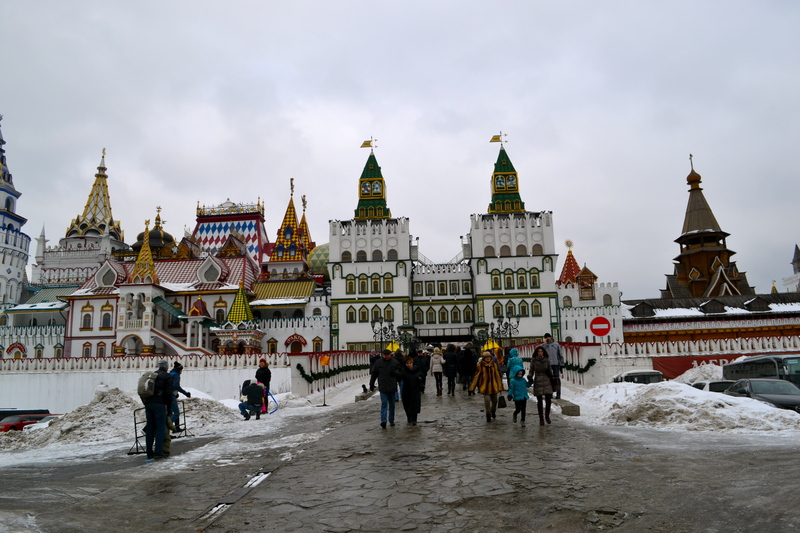 This past (extended) weekend, my travels took me to Moscow, and I hope you don’t mind me deviating from my blog theme to chronicle a bit of them here. As an international relations student, so much of my studies focused on Cold War history. Compared to the global threats coming at us from all sides today (terrorists! cyber warfare! the next pandemic! *hides under bed*), it seems to my 21st century mind like a simpler time: two empires, one evil (at least, according to Mr Reagan). But for all my interest, that era was such a tiny blip in a history as expansive as Russia itself. It strains the brain to think of the diverse leaders who’ve at one time or another ruled the country and its people: from Ivan the Terrible, to Catherine the Great, to Tsar Nicholas II, to Lenin, Stalin, Khrushchev, Gorbachev, Putin – the list spans centuries. What’s fascinating to me is that during the particular period when I was born, going to Moscow for the weekend just wasn’t done by Western bloc-ers. As I landed last week, 20something years later, I couldn’t help but think of how quickly things change, how fast walls fall, and how seemingly permanent states of existence are often proved to be anything but. Finally, the people – ohh, those Russians. The cold, no-nonsense, non-smiling stereotypes exist for a reason, but honestly, how giddy do you expect people to be in -20 weather? Fur was out in abundance (in one metro carriage, I was at a loss to find someone without a speck of it somewhere on their outerwear). It amazes me how a population can be so fashionable in a constant state of slush (with impeccable boots. A reliable source informed me a public shoe cleaning machine is never hard to find). English, as I was warned, was surprisingly scarce, so my interactions with the locals were frustratingly limited to ‘toilet? spasiba!’ But watching parents at the Russian Circus, chasing their hopped-up-on-cotton-candy children around and laughing at clowns’ subtle innuendo, you had to think – families on an afternoon out in Moscow aren’t visibly different to families in London and families in Toronto. Pretty sure most people knew that on a subliminal level during the Cold War, but they had to wait for those crazy world leaders to get there by themselves eventually. Glad they did, if for the very selfish reason that a couple of decades later I was able to visit for a long weekend. That’s it for tonight I think – more to come! 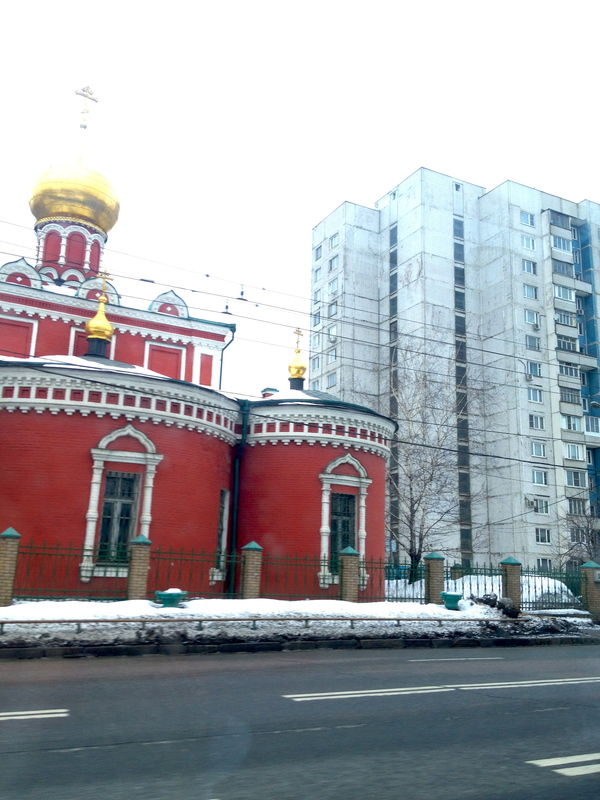 This entry was posted in Uncategorized and tagged Cold War history, Kremlin, London, Moscow, Russia, travel on March 18, 2013 by CatherineTs.